Ideally, I want a world without tragedy. But we all know that just isn’t going to happen. So I take much solace in the unintended “good” consequences that occur after tragedy strikes. 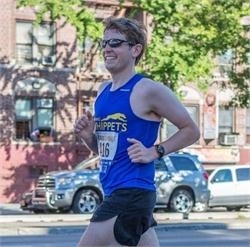 If you haven’t seen this yet, Ashley is putting together a huge campaign to help a Staten Island based running blogger rebuild in the wake of Hurricane Sandy. She and her husband even created a “wedding registry” on Target.com for Jen and her family to help replace everything they lost (which was everything). She was even interviewed by ABC News and Good Morning America. Here’s the story. But another exciting unintended consequence of this horrible disaster is the number of runners who are snatching up vacant charity registrations in other marathons. Running for charity is a really awesome and rewarding experience (I ran the Shamrock Half Marathon last spring for Livestrong, and I’m planning on running the Rock’n’Roll USA Marathon this spring for Back on my Feet) and it is a major revenue source for important charities. In particular, my friend David (otherwise known as South Harlem Runner) will now be running the Philadelphia Marathon for Covenant House. I have a lot of positive feelings about that sentence. Number one – David is an incredible runner. If you don’t read his blog… you should. He is crazy fast and super talented. His race recaps are by far my favorite (they’re way better than mine but that’s not to encourage you to stop reading by blog of course). Number two – Covenant House is an amazing charity. They help homeless, abused, abandoned, trafficked, and exploited youth get off the street and change their lives. In addition to providing shelter and social services, they are huge advocates for homeless youth. Number Three – Mike and I will also be at Philly so maybe we can see David… woohoo! Anyways, here’s my pitch. Please consider making a donation to help David’s cause. This charity needs help right now in the wake of Hurricane Sandy, as many homeless children are in great jeopardy, especially when you consider the potential nor’easter / snow storm that is set to hit the east coast. As David himself said – let’s get something good out of a bad situation! Thanks so much for the shout-out Christina! I’m really excited about using this run to support such a great cause. See you in Philly!